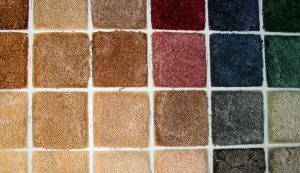 New carpet - what type of carpet should you choose? So, you’re thinking of buying a new carpet? You’ve visited your local carpet shop but you’re overwhelmed with choice? Don’t worry, we may be able to help. Today’s blog will give you some top tips on the best carpet to buy. New carpet – what should I choose? Axminster carpets are top quality and have been a household favourite for many years. However, they are slightly less popular nowadays as they tend to be patterned. If it’s a plain carpet you are after, you might want to look at other options. Wilton carpets tend to be plainer, and again like Axminster are high quality; however for this reason they can be very expensive. So, what do you do if you have a slightly smaller budget? Careclean recommends 80/20 carpets, which means carpets which are 80% wool and 20% nylon. These are very popular and clean well due to the nylon content. Why is this you ask? Well, when wool gets dirty, the dirt sinks right into the fibres whereas on man-made fibres such as nylon the dirt is not so easily absorbed, and therefore is much easier to remove. By having a wool/nylon blend, you still get a high quality, and comfortable carpet, but one that is also easier to clean. Thinking ahead to maintenance and value for money, when you are choosing colours/design, we would recommend an 80/20 carpet with a fleck in its design; this way, the odd spot/stain doesn’t notice as much. We would also recommend a good underlay as this will act as a shock absorber to cut down the wear rate. Plus, it also feels nice on your feet! … and just remember, when your lovely carpet is due a clean, give Careclean a call on 01245 323 989. For the standard household, we recommend getting your carpets cleaned once a year, but slightly more often if you have heavy foot traffic or have dogs/cats. Learn more about our carpet cleaning services.